Everyone always jokes to new moms about how they’ll never sleep again. I always naively assumed that since I had excelled at most everything else I had put my hand at in life, I would easily be able to deal with the trials of motherhood. Ha! It’s so funny that it was so difficult with my first, because, looking back, she was really the best sleeper as a baby. However, when you’re used to not being awakened AT ALL, multiple nightly wakings will kill ya! I kept waiting for her to sleep through the night like all the books and articles promised. It didn’t happen until she was eight or nine months. And even then, it’s not like she kept sleeping through the night! Subsequent children both have their sleep stories. Zac had a period of nine months or so where he was waking up 8-10x a night. Jac for years has had stretches of time where he won’t fall asleep until 1 or 2AM or later. Even now, Kayla wakes up almost nightly and wants in bed with us. I feel like it’s discouraging to new moms or to moms hoping to have more children when they contemplate how their sleep life is only going to get worse. I remember a mom telling me this: “It’s only gonna get harder. You want more kids. You’re only going to get less sleep.” That may be true, but it’s not helpful. The truth is that God gives us more grace to deal with the sleeplessness the more children we have. I’m sleeping worse now than I was with my first baby, but I’m even waking up early to have a quiet time (confession: if the night’s REALLY horrible, sometimes I’ll skip it). However, even with all my nightly adventures, I feel like I have more energy and I feel better during the day than I did with my first baby (and no, it’s not because I’m working out. I work out for about two months at a time during a year’s span, and it’s not that special time right now). Part of it is coffee (I drink about twelve ounces early in the morning on an empty stomach), part of it is momentum because I barely ever stop going (Naps aren’t helpful. They just make me sleepier. ), but I believe a lot of it is God’s faithfulness. And me just getting used to it. Expectations play a big part. In the beginning I kept waiting and expecting my sleep life to return to normal, when I should have just focused on dealing with it. It’s okay. Millions of mom have thrived on broken, poor-quality sleep. I can, too. By the time my third rolled around, I didn’t expect to get much sleep. I stopped hoping for naps. On the really exhausting days I would try to go to bed earlier, although my desire for alone time usually trumped my need for sleep. I do get nights where I sleep all the way through. They probably make up about 15% of my nights. Sleep will come in rare snatches. 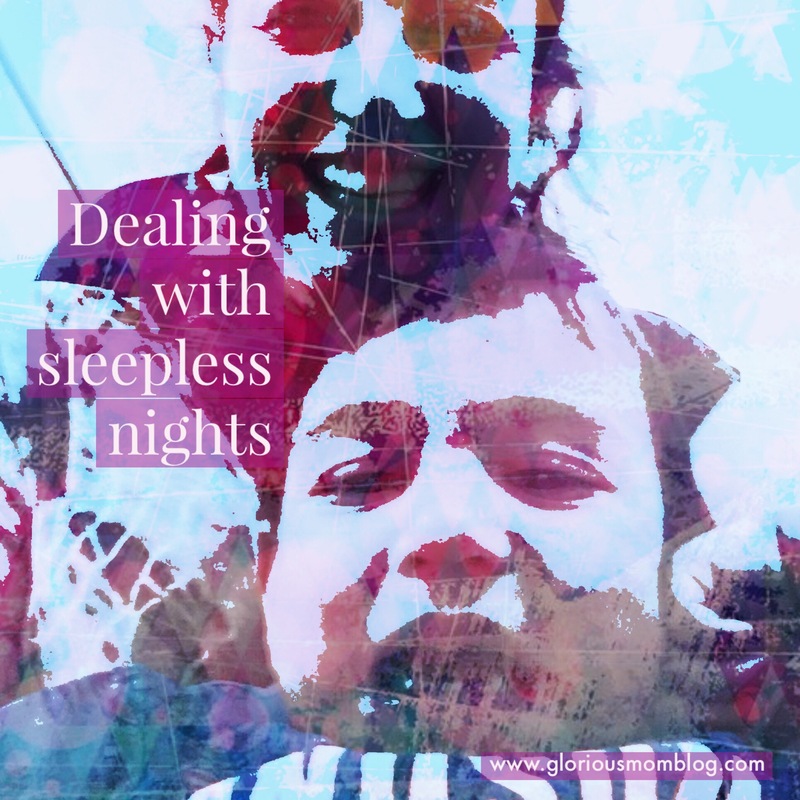 But we’re Glorious Moms, and we can take sleep deprivation in stride, especially with God strengthening us every day. Oh man I feel for you !!! My daughter used to wake up but I started leaving two bottles and two binkies in her crib and she hasn’t since. How true. I too kind of find it easier with my second child even though I actually had less sleep. My first child sleep well until teething. So like you said, expectations have something to do with it. It was near torture after having nights full of sleep, to not. But with my daughter, I knew what would happen. I know in the day I will be away so I am like the energizer bunny. Zoom, zoom! Thanks for sharing this! We have been fortunate that our baby girl has been sleeping 10+ hours every night since a month ago (2 months old). But from the sounds of it, regression will happen, and we should be prepared!! 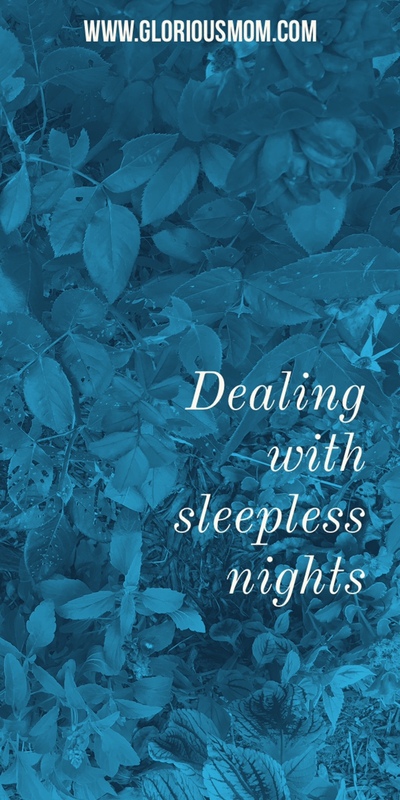 Thanks for sharing your struggles with being sleep deprived. It is definitely something that I can relate to. My little bear thankfully slept really well as a baby but started having a hard time as soon as we reached toddler territory. Right now he is actually calling for me because he doesn’t want to sleep alone in his own room. Overtime you just learn to cope with it as you said. Coffee of course helps. It’s always nice to know that your not alone so thanks for sharing! Yes! My four year-old actually wakes the most! But I’ve come to expect it, so it’s ok. And coffee.